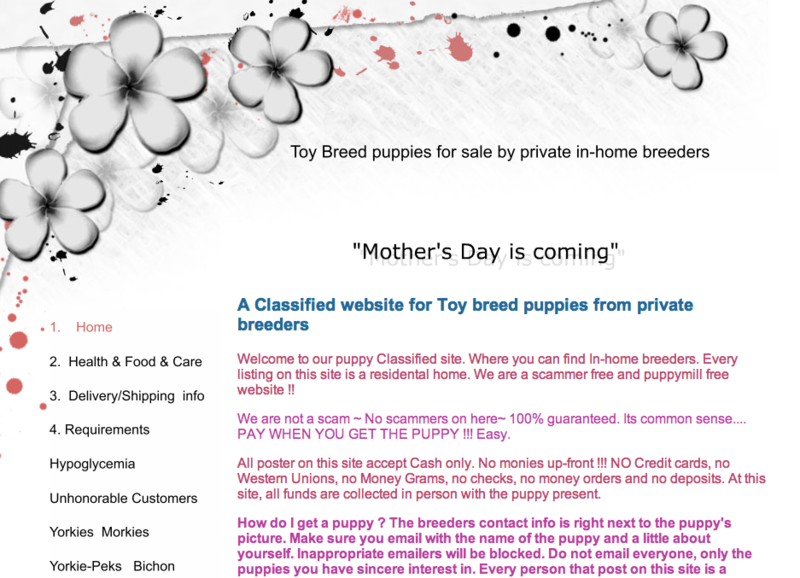 As its name suggests, Puppies234.com is a website that offers puppies for sale. Available puppies range from Yorkshire Terrier puppies and Maltese puppies to Pomeranian puppies. Also, the site gives you a number of puppy care tips, so you can learn how to take care of your puppy. Do you want to buy a puppy? If you do, you can stop by Puppies234.com to search for puppy breeders offering puppies for sale. Additionally, you can find information on everything regarding puppy sale scams, so you can identify puppy scammers as soon as you come across one of them. The services provided by Puppies234.com give you the chance to buy affordable puppies online, with a few clicks. You can also search for puppy buying tips and you can find puppy care information, as well. In conclusion, if you are looking for Yorkshire Terrier puppies and Maltese puppies, you can try this website out.